Wonderful collaboration with Berry Creek Middle School and Adaptive Design featuring Nicole Barth and Christina Young. 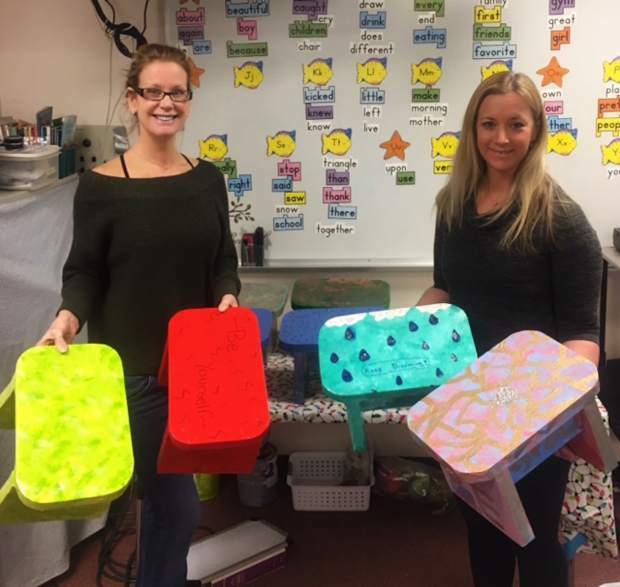 BCMS class lovingly made circle time stools out of recycled cardboard for the kindergarten class at June Creek Elementary School. Adaptive Design's mission is to ensure that people with disabilities receive the custom adaptations they need to live healthy lives and fulfill their developmental, academic and vocational potential and to promote education, inclusion and widespread replication with recycled material.